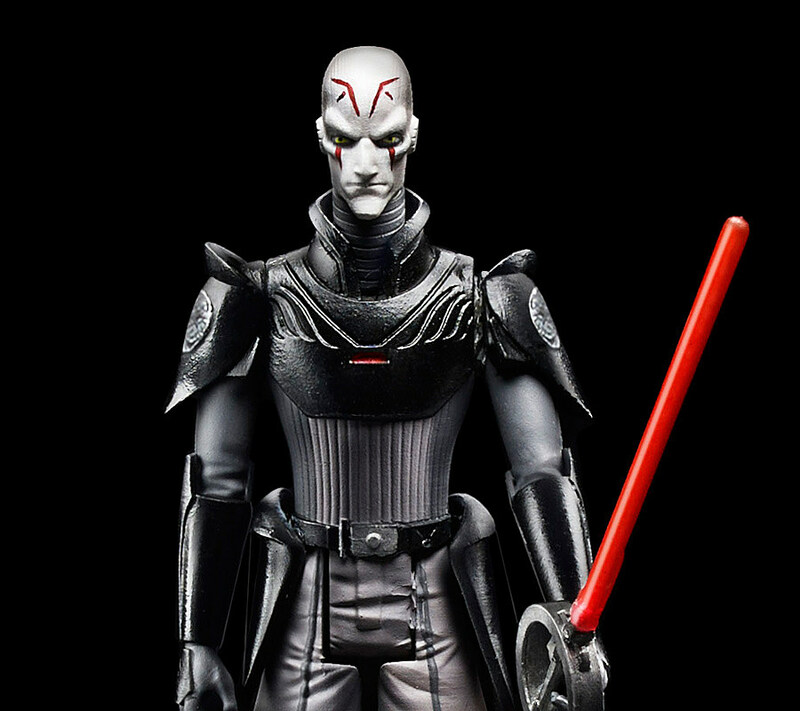 'Star Wars Rebels' Offers New Look at the "Inquisitor"
The hype for 'Star Wars Rebels' really kicked off this past October with the reveal of its Jedi-hunting bad guy for a new generation, the villainous and menacing "Inquisitor," but with 2014 on the way, what more is there to know of the mysterious figure? Get a new look at the next 'Star Wars' animated series with fresh photos of the big lightsaber-wielding baddie to come! 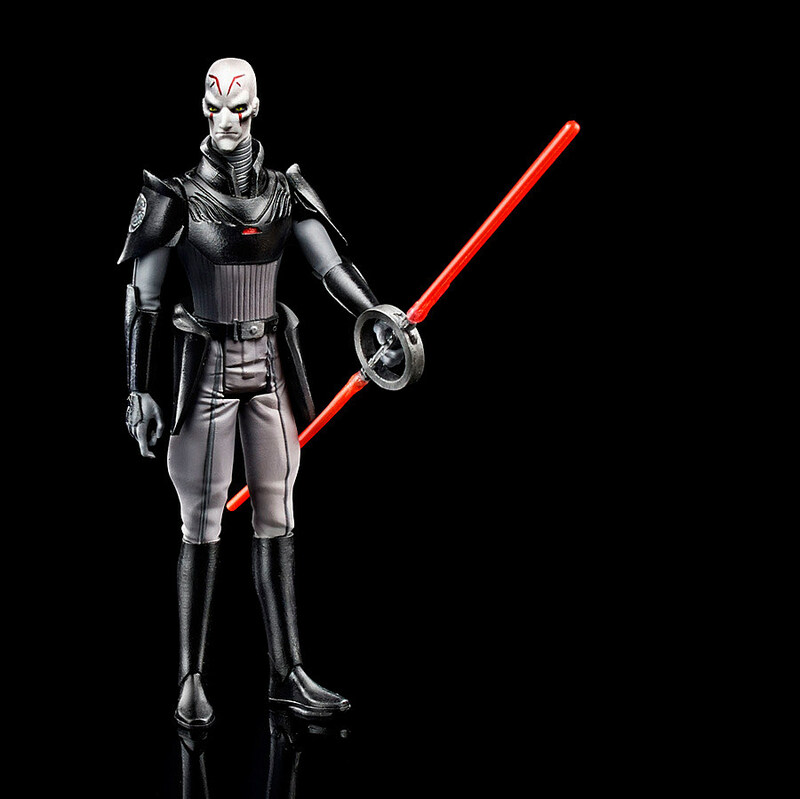 Where previously we'd only seen the villain in concept art, Lucasfilm has release two brand new photos of the character as an upcoming action figure from the 3.75-inch "Star Wars Rebels" Saga Legends line. While the character's armor definitively resembles Darth Vader's (or at least someone in the Imperial employ) his dual-sided lightsaber reflects an interesting design, potentially rotating its blades around the circular hilt. We’ve already seen concept art of the mentioned Millennium Falcon-esque “Ghost,” but no voice cast has been made official. That said, we previously heard Freddie Prinze Jr., ‘The Butler’ star David Oyelowo, Vanessa Marshall, Taylor Gray and Steven Jay Blum were at least on the short list. Picking up where the now-canceled ‘Clone Wars‘ left off, ‘Star Wars Rebels’ will also feature on the creative side ‘Clone Wars’ supervising director Dave Filoni. Check out the photos for "The Inquisitor" below, and tell us in the comments what you want to see when the new animated adventure kicks off in 2014!